As Boeing's new 787 Dreamliner makes its inaugural flight, Rolls-Royce engineers celebrate the performance of its revolutionary Trent 1000 jet engines. They're the latest in a family of sophisticated aero engines that have driven Rolls-Royce to become world leaders in the market for jumbo jet engines. 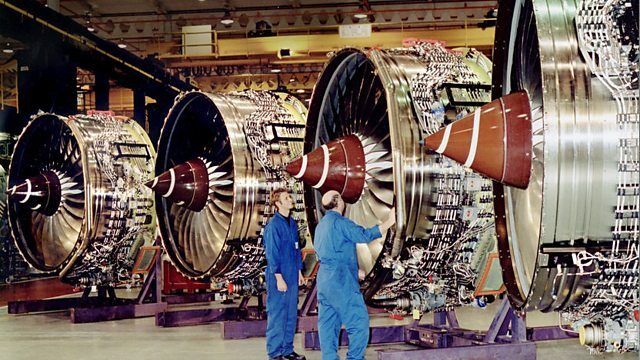 This is the story of the thousands of people who design, build and test engines at Rolls-Royce's manufacturing plants in Derby and across the UK, making Rolls-Royce a central part of life for the people who work there. Exploring some of the astonishing technology behind the engines' advanced components, the programme meets the skilled engineers who design and build them, and experience the ups and downs of life on the assembly line. How does planning help the production process?